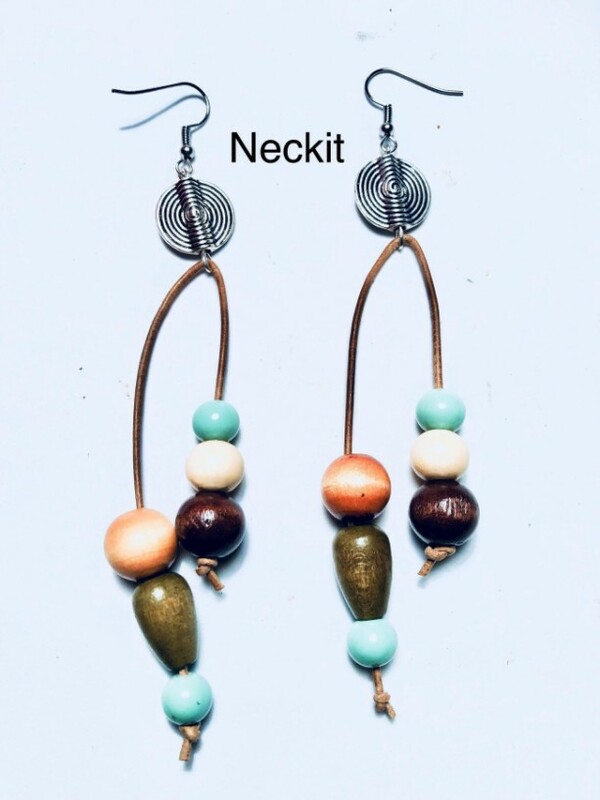 Beautiful lightweight beaded earrings (wooden and glass). Largest beed is 14mm. Strung with genuine leather cord (tan). Antique silver disc accent and fishook. Nickel and lead free. Approximately 4” long.